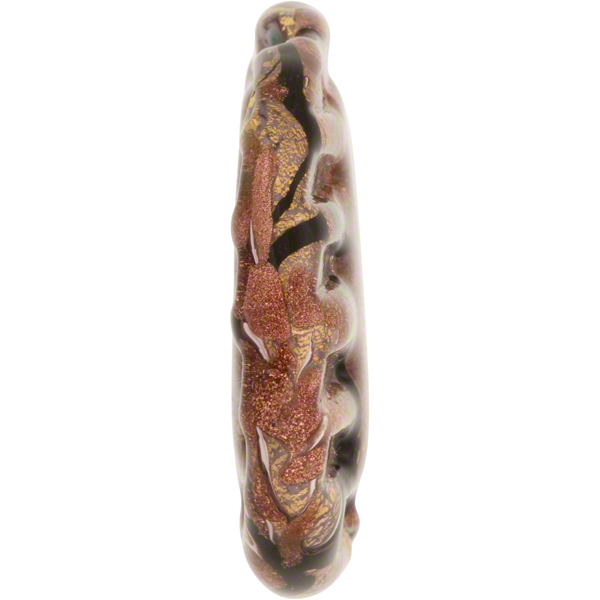 A vibrantly sparkling 34mm medallion shaped Venetian bead with a jewel-like appearance. 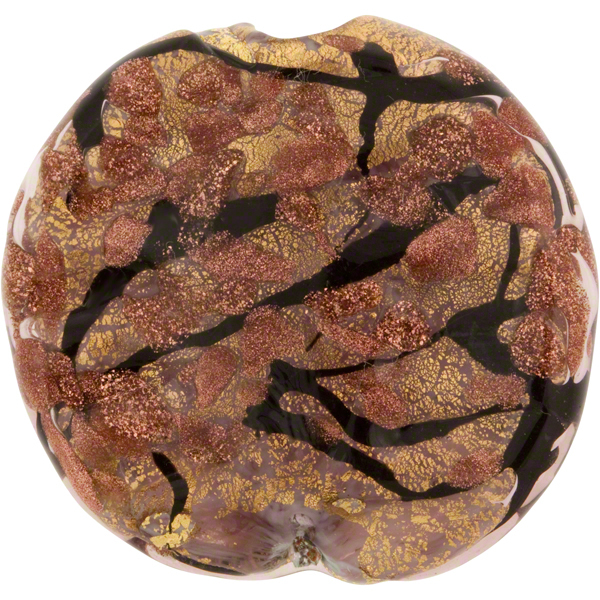 These beads are the creation of one of our best bead makers who simply mixed together Amethyst and Black Murano glass and avventurina and applied it over gold foil. And its the combination of the gold foil and avventurina which gives these beads their luster. Approximately 34mm in diameter and 7mm thick with a 1mm hole in the center.